We rely on our memory all the time, but most people have difficulty memorizing new information. A stack of flashcards are often used as a study aid, however, once you have more than a few cards, they become cumbersome and inefficient. Nobody has the time to daily review every card. Flashcards Professor solves this by using a spaced repetition memory system. Instead of trying to review every card, every day, you'll focus only on new information and what you're currently having trouble remembering. Also, at periodic intervals you'll be tested on past information, to help it go from short term, to long term memory retention. - Support for a virtually unlimited number of questions. - Questions can be text, picture, sound, or any combination of the three. 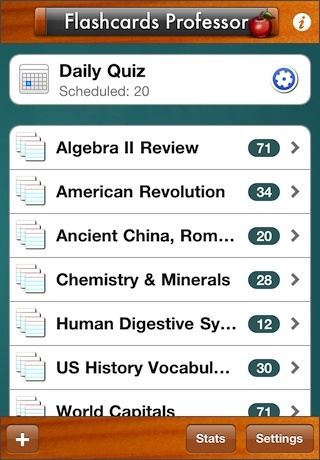 - Review questions as a quiz. - Choose from three different quiz answer methods: "Hidden Answer" - similar to flipping the card to see the answer; "Multiple Choice" - pick the correct answer from a list; and "Typed" - best when you need to remember how to spell the answer. 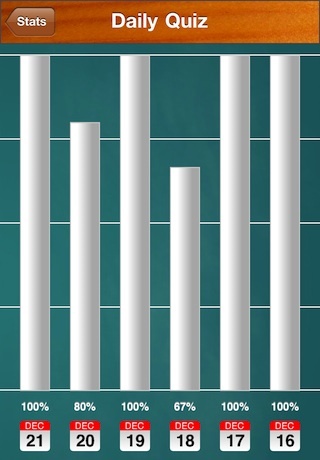 - See the results of quizzes from the last thirty days. - Special mode allows for practicing spelling words. 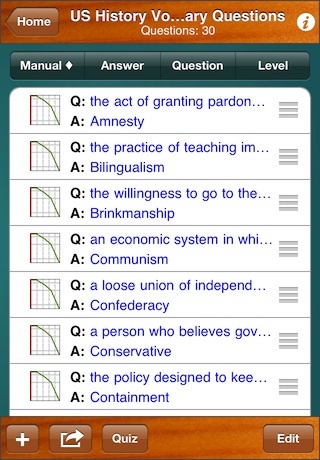 - Text to speech engine can generate audio from any text question. This is especially useful for spelling words, since they require audio. - Definition lookup for spelling words. - Import/Export from Google Docs spreadsheet for sharing questions. - Backup and restore all your questions safely to your computer. - Fixed bug that prevented importing from a Google Docs spreadsheet in iOS 7. - Question groups can now be left in either card mode or list mode. - If during a quiz you run out of time twice on a question, the answer will be displayed. - Added support for the iPhone 5's 4" display. - Flashcards Professor now requires iOS 5.0. - Fixed a bug where adding a picture from the Photo Library could cause the app to hang. - Minor iOS 5 fixes. - Fixed a bug that could result in random missing questions after importing from a Google Spreadsheet. - Fixed a bug that would cause importing from a Google Spreadsheet to fail. - Questions can now be sorted manually. 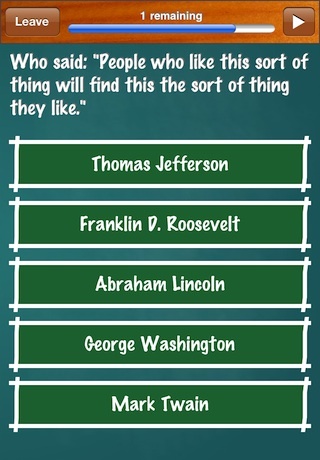 - Tapping a cards title will display the questions history. - Fixed a bug that could cause Flashcards Professor to crash when attempting to restore a saved state. Copyright © 2015 Buckaroo Software.